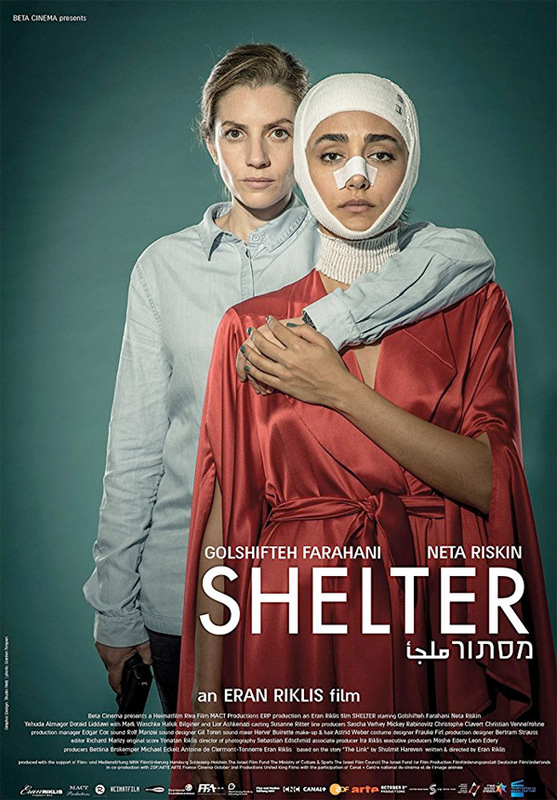 "I'm here to protect you…" Menemsha Films has debuted a new US trailer for an Israeli psychological drama titled Shelter, from veteran Iranian filmmaker Eran Riklis (The Syrian Bride, Lemon Tree). Golshifteh Farahani (from Paterson) and Neta Riskin star in this "high-stakes game of deception", about a Mossad agent sent to protect their informant in Hamburg. "The intimacy of the relationship that develops between Mona and Naomi is exposed to the threat of terror that is engulfing the world today… Beliefs are questioned and choices are made that are not their own. And yet their fate takes a surprising turn in this suspense-laden, elegant neo-noir." The cast includes Lior Ashkenazi (from Foxtrot), Yehuda Almagor, Doraid Liddawi, and Haluk Bilginer. The bandages on the face are cool, a bit like Phoenix or The Skin I Live In. A subtle thriller set in Germany involving Mona, a Lebanese woman (played by Iranian-born, Paris-based star Golshifteh Farahani), and Naomi, an Israeli Mossad agent (played by Israeli actress & model Neta Riskin) sent to protect their informant who is recovering from plastic surgery to conceal her identity. Together for two weeks in a quiet apartment in Hamburg, the two women take us into a complex, multi-dimensional labyrinth of trust and mistrust, of honesty and deception, of loyalty and betrayal. Shelter is both written and directed by veteran Iraeli filmmaker Eran Riklis, of the films Zohar, Vulcan Junction, Pituy, The Syrian Bride, Lemon Tree, The Human Resources Manager, Dancing Arabs, Playoff, Zaytoun, and Love Letter to Cinema previously. This first premiered at the Haifa Film Festival, and also the Warsaw Film Festival last year. Menemsha Films will open Shelter in select theaters starting April 6th this spring.